The sensors of overhead automatic doors can be found along the track, somewhere around knee height. 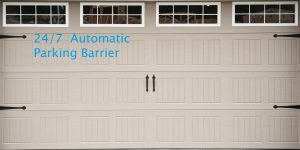 If there is something blocking the signal between the two sensors, the garage door will not close. Bearing this in mind, you have to ensure that there is nothing hindering the path of the signal. At times, the signal might be blocked without a visible hindrance as well. In such scenarios, it is usually dirt on the sensor that needs to be taken care of. Often, the problem will stem from a low battery charge, meaning that you will be able to take care of the problem, merely, by replacing the batteries. On rare occasions, however, the problem might even indicate a problem with motor or a malfunction of the sensors. If your garage door does not respond to the commands through the remote controller, the use of a switch is the only option that you have got, right? 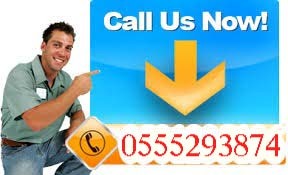 If the door will not open even with the use of the switch, then you might find yourself to be in a serious problem Automatic Doors in Dubai. First of all, you have to ensure that the automatic door is being provided with the electricity that it requires. If all other lights are in the garage are working just fine, check the breaker box to see if the garage door is either tripped or burned out. In case the power supply is fine, you will need to check the motor for loose wiring.